Brewing coffee is like baking a cake. Sure, you can bake all your batters at 350°F, but you’re going to get quite a few burnt bottoms and gooey middles. And sure, you can brew your coffee at “about” boiling, but you’re cutting yourself short in producing the best tasting cup of coffee. The bean, roast, grind size, and brew method all factor into the temperature. Heck, even the age of your bag matters. Did you know that freshly roasted coffee should be brewed at a higher temp than an older bag of beans? 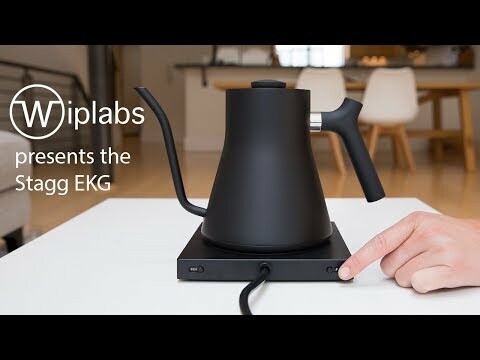 With Stagg EKG, you have complete control of temperature with a touch of a button.